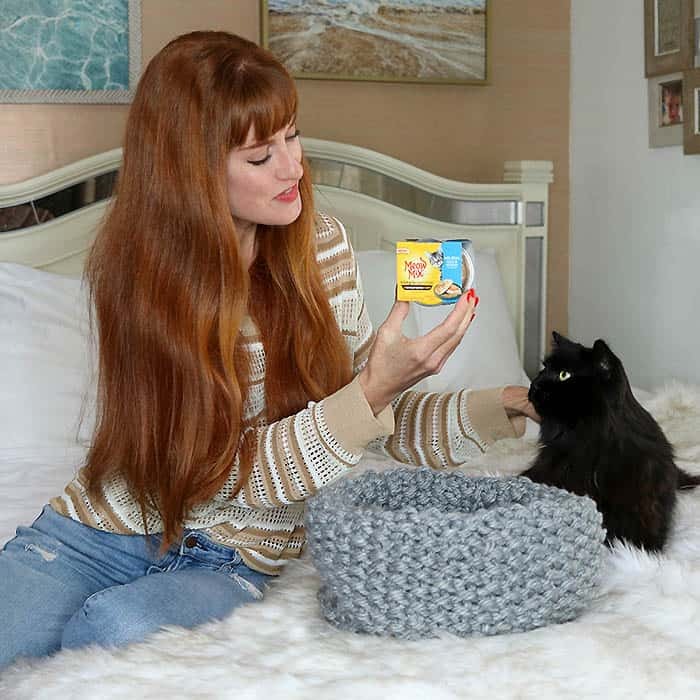 Our pets bring us so much joy, it’s only natural to spoil them in return! My rescue cats, Luna and Cherry are my constant companions. I love to treat them to good food and to make toys for them. 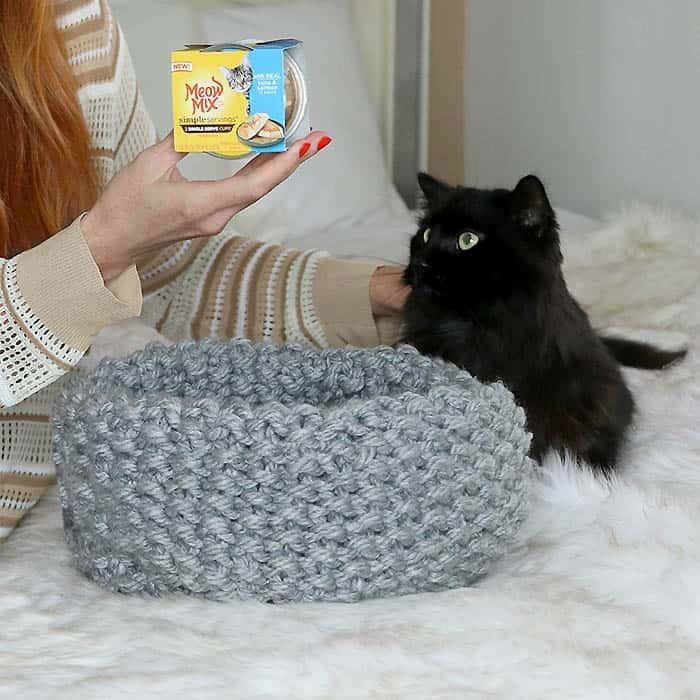 Today I teamed up with Meow Mix Simple Servings to share this Easy Cat Bed Knitting Pattern. Simple Servings comes in a convenient, mess free cup. 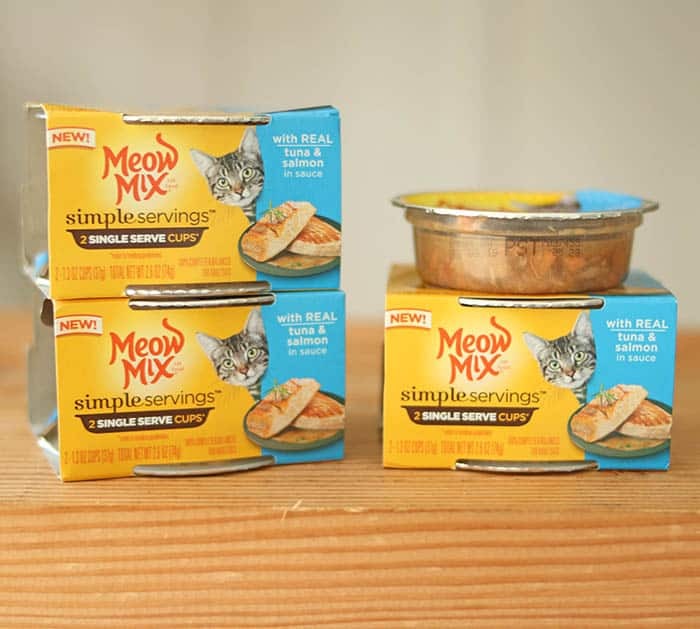 The single serving cup is easy to open, serve (no fork or spoon needed) and there are no leftovers. If your cats are anything like mine, they won’t touch leftover food, so it ends up going to waste. Simple Servings was a big hit with my girls! 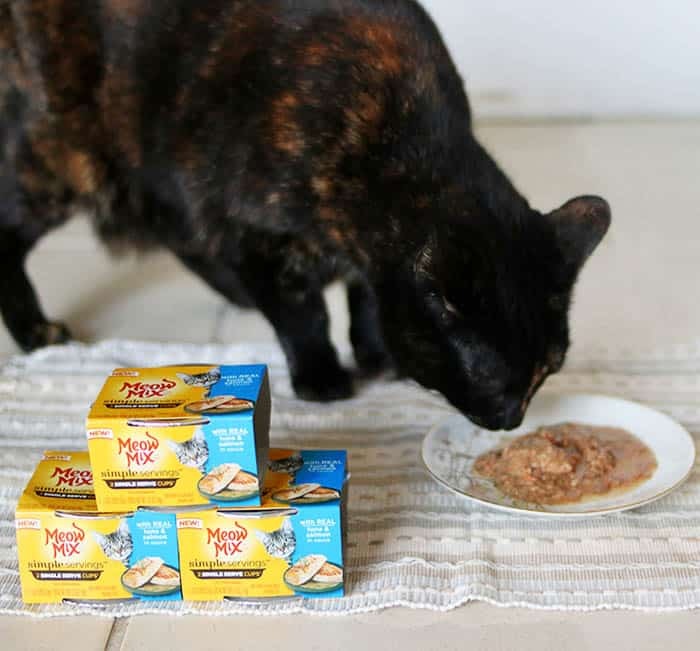 Luna & Cherry are partial to the Tuna & Salmon flavor (Seafood Variety and Chicken & Turkey are also available) The Tuna & Salmon has pieces of real seafood in a savory sauce. When Luna really likes her food she purrs while she eats. Simple Servings passed the purr test! 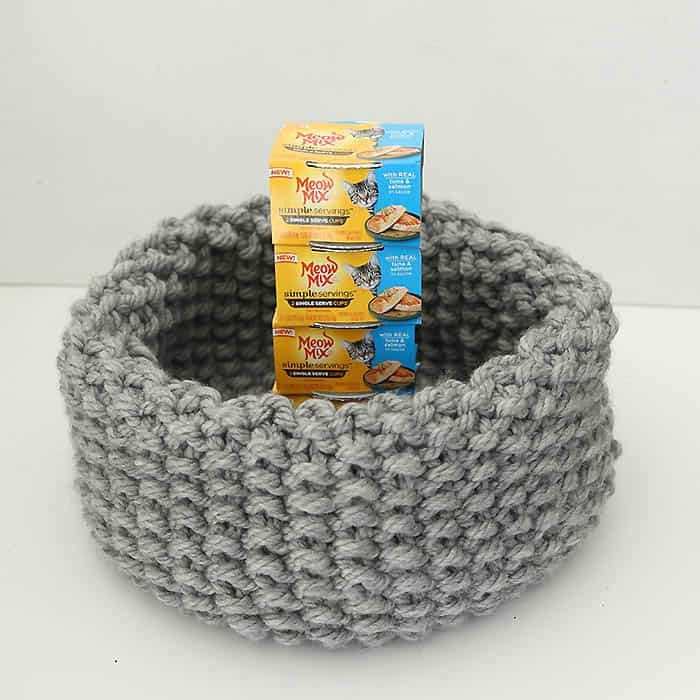 Anyone with a cat knows that they love warm, cozy spaces, so this knit cat bed is perfect! 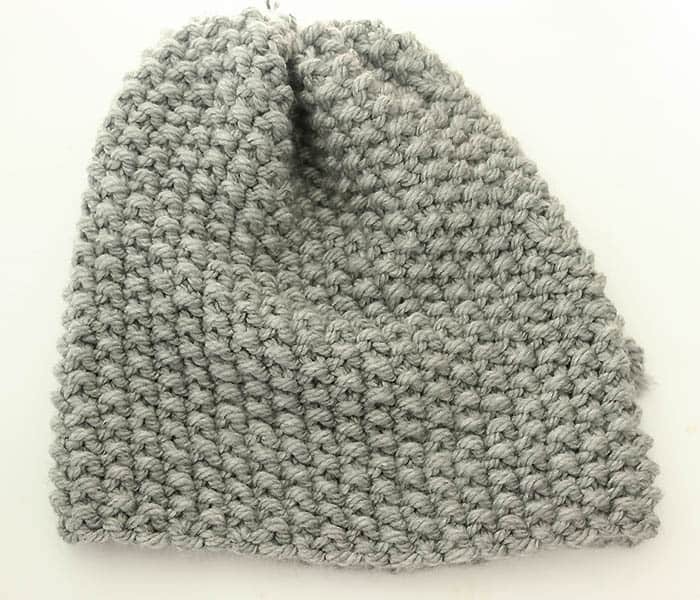 Best of all, it’s easy and fast to knit. 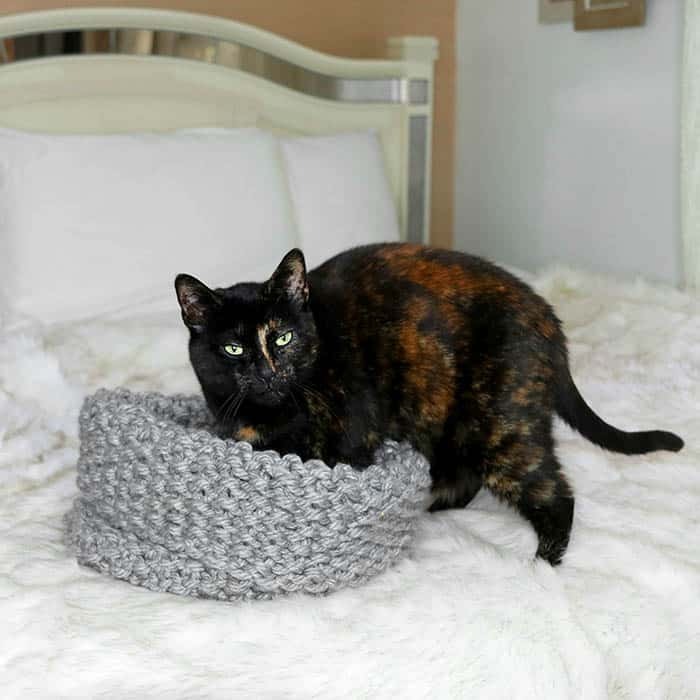 This cat bed is knit on straight needles so it’s beginner-friendly. The bed is knit flat, then sewn at the side seam. The bottom is gathered and pulled tight to close. 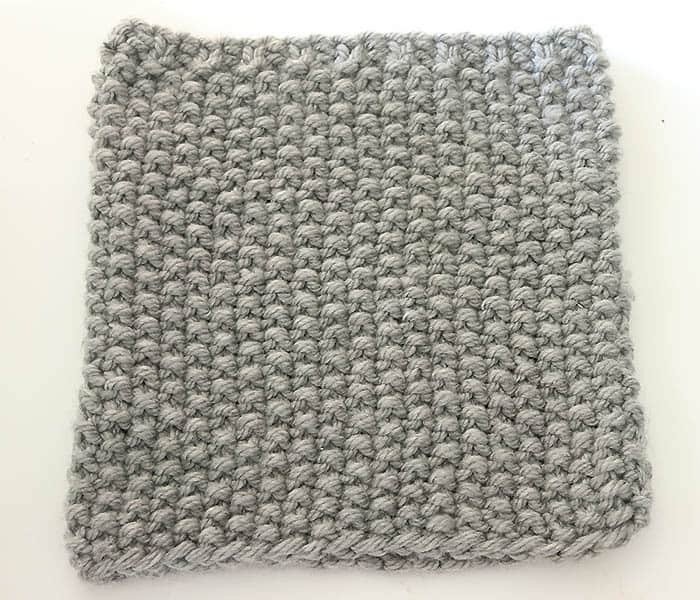 Row 1: Knit 1, Purl 1 across row. Repeat rows 1 and 2 until piece measures 14 1/2 inches from the cast on edge. Bind off in ribbing. Fold over and sew seam. Weave in ends. 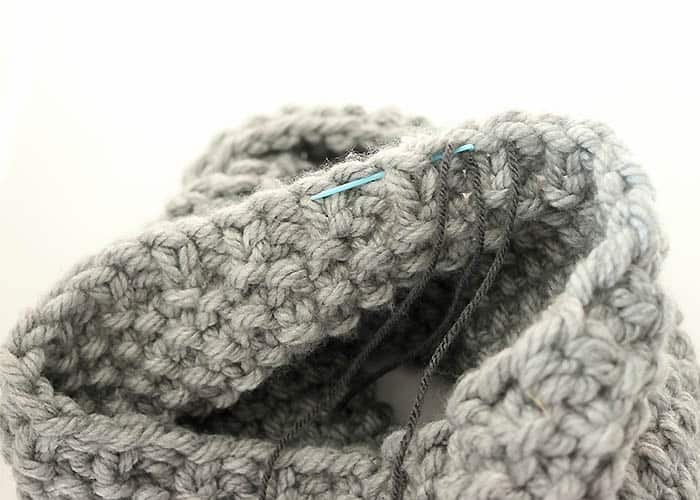 Pull the yarn to tighten, cinching the bottom completely closed. This is what the piece should look like with the end cinched. Fold the edge over (almost to the bottom). This doubled up the sides and helps the bed keep its’ shape. 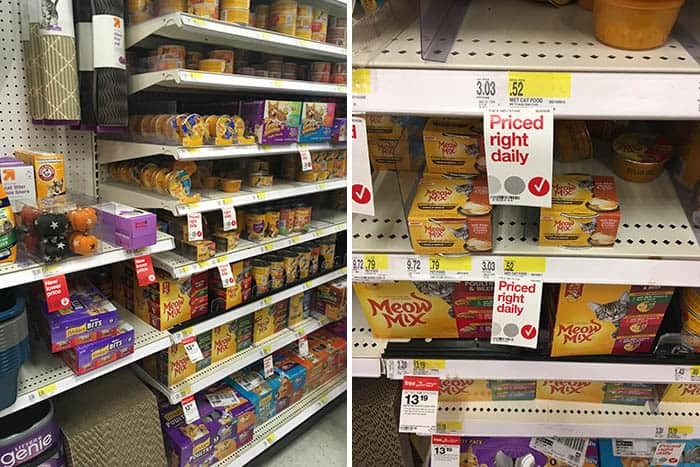 Next time you’re in Target be sure to swing by the cat food aisle to pick up some Simple Servings! 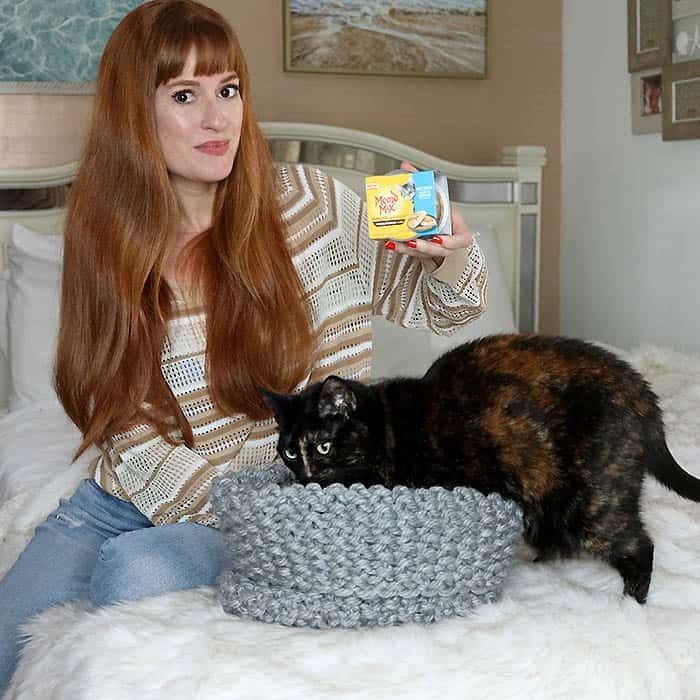 How do you like to spoil your fur babies? I’d love to hear! 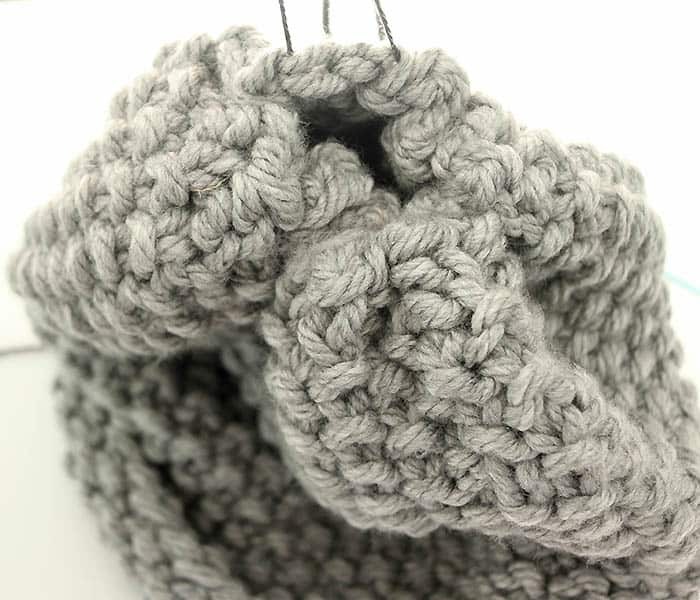 Flat Knit Baby Booties- Super EASY! 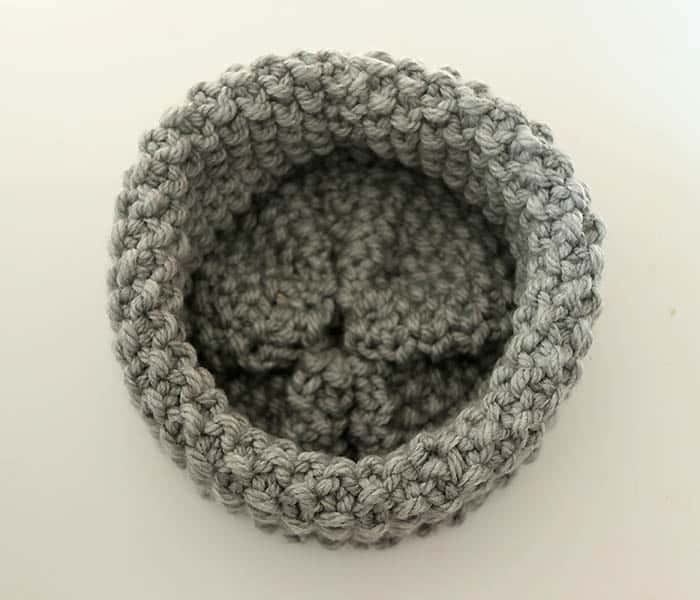 Thank you so much for this pattern for the cat bed. I'm going to try it for my fur babies. By the way your kitties are gorgeous. I also have a calico and a panther Punkin and Boo!